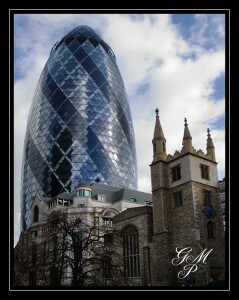 Walking through the city this week with my new G12 in my pocket I noticed the difference of old & new architecture. So I took a few frames. That night I had been watching a tutorial on HDR by a chap called Guy Gowan. I am a member of Guys site (www.guygowan.com) and have to say I am a big fan of his. Anyway to get back to the point I thought I would try out his method of HDR. Its really trying to get the image as you actually saw it and not like some of the garish images that you get from a lot of dedicated HDR software. Basically it’s all done in Photoshop and from only one exposure using layers. I feel that it does really represent the scene that I saw. Interested to know what you all think?